Associate Director of Harvard University Parking Services Jim Sarafin (far left) rides with a train of bicyclists today as part of the Hubway bike-share program. The program has been expanded to include more nearby communities. The gray and green bicycles of the popular Hubway regional bike-share program have become ubiquitous in Boston and now will spread into the nearby communities of Cambridge, Somerville, and Brookline. The expanded presence, in part supported by Harvard University, the Massachusetts Institute of Technology, and local businesses, will provide riders with a healthy, emissions-free option for traveling throughout the area, including between Harvard’s Schools and campuses. By the end of August, 24 stations and 240 bicycles will be installed across Cambridge’s diverse neighborhoods. Seven stations donated by Harvard will be located at the Radcliffe Quadrangle, at the river Houses at DeWolfe and Cowperthwaite streets, at Harvard Housing’s Peabody Terrace, at Harvard Law School, at Harvard Kennedy School, at the Harvard School of Engineering and Applied Sciences, and at the Harvard Graduate School of Design’s Gund Hall. When the expansion is complete, Hubway will have more than 100 stations in Boston, Cambridge, Somerville, and Brookline, bringing the total number of ride-sharing bikes to more than 1,000. 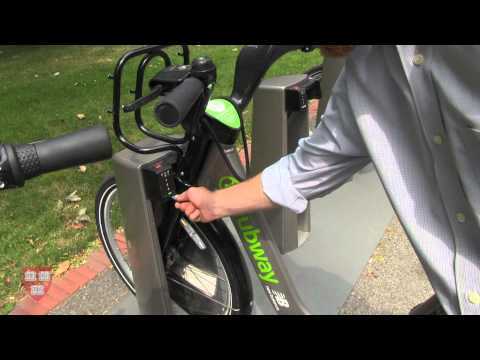 Hubway allows users to access bikes from solar-operated stations by purchasing an annual or casual membership. The first 30 minutes of riding are always free, making many of the short trips within Harvard’s Cambridge campus accessible to anyone. Since its inception last year in Boston, the system has logged more than 360,000 individual bike trips. Harvard Business School student Ahmed Makani was Hubway’s top rider in 2011, taking 340 trips on a Hubway bike, which he uses to commute to campus from Allston and explore the bike paths along the Charles River. The expanded bike-share program will connect all of Harvard’s undergraduate and graduate Schools, providing an alternative to driving between the Cambridge, Allston, and Longwood campuses. In addition to the six stations in Cambridge, Harvard supports five stations in Boston, including one on the Longwood campus, and four in Allston at the Harvard Business School and along Western Avenue. “From the start, Harvard has been a strong partner for the city of Boston’s bike-share system. The sponsorship of five New Balance Hubway stations in Boston makes them one of the largest supporters of in the city,” said Kris Carter, interim director of Boston Bikes. Lisa Hogarty, vice president of Campus Services, said Harvard’s support for Hubway reflects the University’s commitment to sustainability and to reducing greenhouse gas emissions. With Harvard’s sustainable-transportation programs, only 13 percent of Cambridge/Allston staff and faculty commute to work by driving alone, and more than 79 percent take transit, bike, or walk to work. Harvard worked closely with Cambridge officials to identify station locations and support the expansion of Hubway. The official Cambridge launch ceremony on Aug. 8 included remarks from Cambridge Mayor Henrietta Davis, local and state officials, and Christine Heenan, vice president of Harvard Public Affairs & Communications. A short group bike ride from Central Square to Harvard Square was followed by a community celebration at Harvard’s Holyoke Center, co-sponsored by the Harvard Square Business Association and Harvard University. “Hubway represents an exciting new opportunity to further knit our communities together. I want to thank the city of Cambridge for its leadership on the environment and strong support for alternative transportation options. Whether in education, housing, or the environment, we are committed to working together with our neighboring communities to develop solutions and programs that lead to a better future,” said Heenan. In 2009, the University collaborated with the city of Boston on the design and implementation of bike lanes on North Harvard Street, and in 2010 collaborated with Boston to stripe bike lanes and install a cycle track on Western Avenue. “I’m especially excited we beat New York City in bringing bike share to the city of Cambridge,” said Davis. To learn more about Hubway, visit thehubway.com. To find out about Harvard’s CommuterChoice Program, which provides discounted transit passes, bicycle safety classes, and other resources, visit commuterchoice.harvard.edu. Eric Lin and Timmy Chen of Phillips Brooks House Association's Chinatown Adventure sack race with gusto at the association's midsummer celebration in Jamaica Plain.